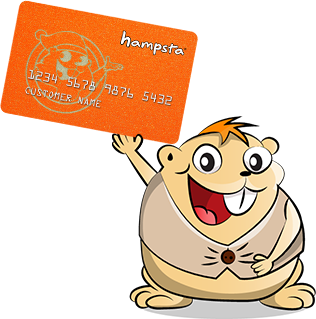 Application Form means the application form for membership in the hampsta Savings Club Card Programme attached to these Terms and Conditions.Available Balance means the available balance of funds on your hampsta account that may be spent during the Specified Purchase Period. The maximum value you can hold in your hampsta account at any one time is $5,000. Card means a Savings Club Card issued by Hampsta NZ, a division of Tranxactor Limited that can be used to purchase goods or services from Participating Retailers. Hampsta means Hampsta NZ, a division of Tranxactor Limited. Participating Retailer means any retailer or service provider that participates in the hampsta Savings Club Card Programme and from whom you can purchase goods or services using your Card. Programme means the hampsta Savings Club Card Programme. Specified Purchase Period means the period during which you can use your Card to purchase goods or services from any Participating Retailer, being from 1 December of the year you joined the Programme to 10th January in the following year inclusive and each subsequent period of 1 December to 10th January until you terminate your membership. Trust Deed means the deed entered into between hampsta and the Trustee pursuant to which the terms of the Trustee’s appointment are set out. Trustee means any such entity appointed to act as trustee of the Programme from time to time. ‘you’ means the person who joins the Programme as a member and who will use the Card. ‘we’ means Hampsta NZ, a division of Tranxactor Limited and our successors, assignees and authorised agents. ‘Our’ and ‘us’ have corresponding meanings. 2.1 You agree to become a member of the Programme and agree to be bound by these Terms and Conditions upon joining the Programme. 2.2 hampsta may reject any application for membership of the Programme in its sole discretion. 3.1 There is an annual account maintenance fee of $39.00. This will be deducted from your account when there are sufficient funds available and thereafter on the 1st February in each year unless you give us notification of your terminating membership of the Programme prior to that date. We will deduct the account maintenance fee in subsequent years from any Available Balance or as funds permit. 3.2 hampsta may vary the account maintenance fee and any other charges from time to time by giving you one month’s prior written notice. 4.1 Your contributions will be subject to a maximum total amount of $10,000 each year. The maximum value you can hold in your hampsta account at any one time is $5,000.00. 4.2 You can only make in store top up payments over the counter from 11th January to 26th November each year and only at selected Participating Retailers. 4.3 Contributions made between 1st of December and 10th of January each year require 5-10 business days to clear before they become available funds. 4.4 Your contributions can only be made by Direct Debit, bank deposits or in store top up payments at a Participating Retailer (where available). The relevant bank account details are available by logging in to your hampsta account here. You can also call hampsta help desk 0800 364 364 during normal working hours. 4.5 Your Available Balance will be held in a bank account on trust for your benefit, upon and subject to the terms of the Trust Deed. Any interest earned on funds held in this bank account will be payable to hampsta, and you will not be entitled to any share in that interest. 4.6 You can find out what your Available Balance is at any time by SMS*. Type HAMBAL cardnumber safetycode (separate with a space between each word) and send text to 8810. Note: this service is currently only available for Vodafone and Spark customers and is a user-pay service at 50 cents per SMS. Please update your account details to include your mobile phone number. Alternatively, login to your hampsta account here to check your Available Balance. 5.1 You may use your Card to purchase goods or services from any Participating Retailer during the Specified Purchase Period which may be varied by hampsta from time to time by providing you with one month advance notice. 5.2 Where your Available Balance is less than any goods or services you wish to purchase, you may use the Available Balance plus any other method of payment to purchase the goods or services. 5.3 You authorise us to debit the amount of each purchase made using your Card from your Available Balance. You cannot stop or alter transactions that you make with your Card. This means that if you give your Card to someone to use or you allow a purchase transaction to be processed and then you are not satisfied with the goods or services, you will not be able to reverse the transaction. b. Submission of new Direct De bit payment forms, if required. 6.1 The Programme will remain in operation until hampsta gives you notice of termination which shall be at its sole discretion. 6.2 Upon termination of this Programme, you will be entitled to use your Card in respect of your Available Balance during a period notified to you by us. Upon expiry of such period, any remaining Available Balance will be forfeited by you and will be dealt with in accordance with the Unclaimed Moneys Act 1971. 7.1 Closing your account: The Programme strives to encourage members to commit to the account for at least the first year of membership so as to reap the full benefits of the hampsta Savings Club Card Programme. You may temporarily stop contributions from time to time but the remaining funds in your account will not be returned directly to you. The remaining funds in your account can be spent through the hampsta Savings Club Card Programme during the Specified Purchase Period. The annual membership fee will be deducted from your Available Balance on or around 1st February each year, as long as sufficient funds are available. If sufficient funds are not available to pay the annual membership fee, your Account will be deactivated. You may re-establish your account at any time by paying the annual membership fee current at that time. 7.2 Members cannot apply for refunds other than in the case of financial hardship. Whether or not a refund is made under such exceptional circumstance will be at the sole discretion of Hampsta, in which case, an account closure fee will apply. 8.1 On joining the Programme you will be issued with a Card and a unique confidential PIN number. This will only operate to purchase goods and services during the Specified Purchase Period. At other times you may use the Card to make over-the-counter top ups at Participating Retailers and to identify yourself as a Member to our Participating Retailers. Your Card will be issued with a PIN Number which you must keep confidential to yourself. Unauthorised use of the Card may result in us cancelling your membership. 8.2 The Card is not a credit card, and is not transferable for cash. No change will be given by any Participating Retailer. 8.3 Purchasing of gift cards or gift vouchers not within the Participating Retailers of the Programme may not be allowed by Participating Retailers at their discretion. The purchase of cigarettes and tobacco using the Card is also at the discretion of Participating Retailers. Where purchase of such goods are allowed, the purchase using the Card may attract a transaction and processing fee which may vary between retailers. Please refer to the Participating Retailers for their individual terms and conditions. 8.4 Any bonus benefit awarded by hampsta is not transferable and will not be included in any reimbursement under any circumstances. 8.5 You cannot use your Card as a form of payment for any medical prescriptions. 8.6 You cannot use your Card as a form of payment at any participating retailer for the purchase of any lotto or associated products. 8.7 Your Card is for your use only in accordance with these Terms and Conditions. If you allow any other person to use or hold your card, you will be responsible for any such use as the transaction will be treated as authorised by you. 8.8 Your Card is the property of hampsta. Your Card may not be copied or reproduced in any circumstances. You must return your Card to us or destroy your Card if asked to do so by us. 8.9 It is at Hampsta’s sole discretion as to whether or not we accept an application for membership in the Programme. The circumstances where we would refuse an application include, for example, where that person’s membership would result in hampsta being considered a reporting entity for the purposes of the Anti-Money Laundering and Countering Financing of Terrorism Act 2009. 9.1 A list of the current Participating Retailers can be obtained from hampsta at any time – visit www.hampsta.co.nz. 9.2 Participating Retailers may change from time to time. hampsta does not warrant or represent that any particular retailer will remain a Participating Retailer at or for any particular period of time and you acknowledge that Participating Retailers may differ from one Specified Purchase Period to another. 10.1 You are responsible for monitoring your Available Balance for any error relating to purchases made with your Card and contributions made to your hampsta account. 10.2 If any error regarding purchases made with, or contributions made to your Card has occurred, you must notify us within 21 days from the date on which the error or errors occurred. 11.1 You must notify us immediately if your Card has been lost or stolen by calling our Customer Service number detailed on this form and on the back of the Card. Provided we are satisfied of your identity, we will cancel your lost or stolen Card and issue you a replacement Card. Where you are issued with a replacement Card, a fee of $10.00 will be payable, and will be deducted from your Available Balance. 11.2 Any unauthorised transaction (a transaction not made by you) that takes place before you have notified us that your Card has been lost or stolen will be debited from your Available Balance. 12.1 We may change our terms and conditions from time to time, for latest terms and conditions please see www.hampsta.co.nz. 13.1 We are under no liability and have no responsibility to you whatsoever for any direct, indirect or consequential loss and/or any expense suffered by you, arising out of a breach by us of these Terms and Conditions. 13.2 In the event of any breach by us of these Terms and Conditions, your remedies shall be limited to damages. Under no circumstances shall our liability exceed your contributions to the Programme. 13.3 Your rights and remedies under these Terms and Conditions are solely against us and not against the Trustee, and the liability of the Trustee shall be strictly limited as set out in the Trust Deed. 14.1 We will collect and hold information about you as part of your application for membership in the Programme. We will ensure that this information is held securely. 14.2 We will use information that we collect about you to process your application for membership, and to administer the Programme and communicate with you about the Programme and your Card. We will also make the information available to our Participating Retailers for the purpose of them contacting you to advise you of special offers and promotions. 14.3 Under the Privacy Act 1993 you may request access to, and correction of, any personal information we hold about you by contacting us during normal business hours. 14.4 We will not disclose personal information to any other person other than the Trustee and other persons involved in administering the Programme, except as required to process your application, or as authorised by you, and required by law. 14.5 The Trustee may disclose your personal information in the circumstances set out in the Trust Deed (including to any auditor of the Programme or as required by law). 15.1 We may licence, sub-contract, or assign all or any part of our rights and obligations under these Terms and Conditions without your consent. 15.2 hampsta may from time to time run promotions and selected offers. Terms & Conditions will vary and for a full list of competition terms and conditions visit www.hampsta.co.nz. 16.1 What is a Direct Debit? A Direct Debit Authority allows a payment to be automatically deducted from your bank account. By filling out the Direct Debit Authority form you are authorising hampsta to debit your payments from your chosen account. At midnight on the day you have chosen (usually your pay day), our bank debits your account electronically. 16.2 Changing a Direct Debit. If you wish to make a change to your Direct Debit you will need to contact hampsta on 0800 364 364 by midday two working days before your payment is due so we can stop or change a payment (i.e. before Monday midday for a Wednesday payment). 16.3 What if I miss a payment? Your Bank or Building Society may charge you a fee. We reserve the right to charge an administrative fee if a payment fails. At hampsta you’re not locked into saving a set amount for a product. What you save is what you spend! So the more you save the more you have to spend come Christmas. 16.4 What happens if I can’t keep up my payments? We understand that circumstances change and encourage you to contact our friendly Customer Service Team on 0800 364 364. Our staff are active savers and users of the hampsta card and will be able to discuss options with you as we know the benefits of continuing saving. Options may include reducing or skipping payments for a short period of time. 16.5 Missed Direct Debits. Your Bank may charge you a fee for any missed Direct Debits. We reserve the right to charge an administrative fee if payment fails. 16.6 What happens if my payment date falls on a Public Holiday? Your Direct Debit Authority will come out the next working day. As hampsta is located in Auckland we observe Auckland Anniversary, If you wish to skip a payment on a public holiday you will need to let us know before midday 2 working days prior to the payment date (i.e. if the Public Holiday is on a Monday, you will need to contact us on the previous Thursday).